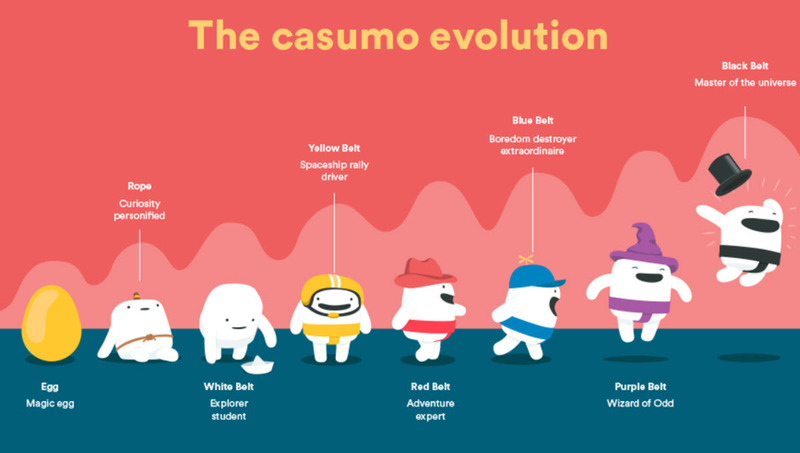 Casumo har been around since 2012 and is famous for being very cute and having fun and unusual promotions. There is also a very large selection of games here, from over a dozen different game developers, including Scandinavian boutique developers such as Thunderkick, Yggdrasil, and Elk Studios. Giants such as NetEnt and Microgaming are also providing this casino with games. The slot section is especially impressive, with well over 1,000 titles. The casino is operated by Malta-based Casumo Services Limited, and holds gambling licenses from both Malta and the United Kingdom. 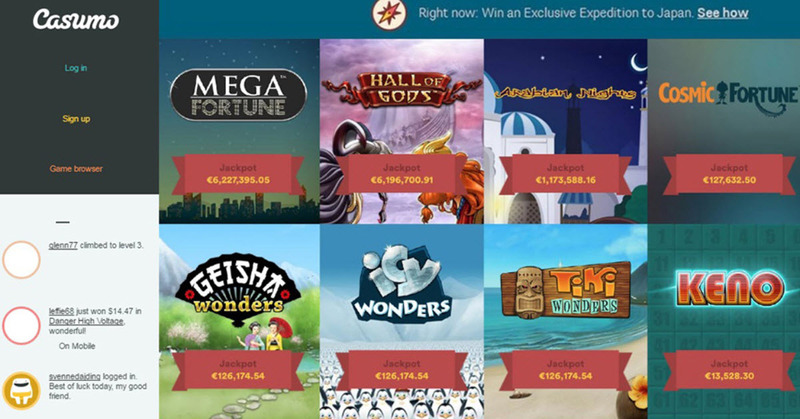 Casumo Casino is available in several languages, including English, German, Swedish, Norwegian, and Finnish. Sometimes Casumo make special deals with game developers to give their players a chance to try out new games before anyone else. This was for instance the case with Yggdrasil’s 2018 wrestling-themed slot Lucha Maniacs, which became available in Casumo Casino before it appeared in any other online casino. The slot selection at Casumo is huge – you can work your way through more than 1,000 slots here! They come from a wide range of slot developers and you can find anything from basic fruit machines to pretty complex slot games in this casino. A lot of famous slots are present, such as Starburst, Dead or Alive (popular among players looking for high variance), and Gonzo’s Quest (with stones instead of reels). Several slots with really big progressive jackpots are here, including Mega Fortune, Mega Fortune Dreams, Hall of Gods, and Mega Moolah. Casumo is filled with plenty of table games, including roulette, blackjack, baccarat, and various kinds of casino poker. Regrettably, we haven’t been able to find any craps table here. Live roulette is offered with croupiers speaking English, German, Swedish or Turkish. Casumo has a nice selection of both live-dealer and digital blackjack games. The live casino is home to well over 30 BJ tables. There are six Baccarat tables in the live casino. There are five tables for casino poker in the live casino. There are over 30 video poker machines to explore in Casumo Casino, including six different Jacks or Better games. The Casumo app for iOS is available in the Apple App Store. The Casumo app for Android is available in the Google Play Store. You can visit the casino directly in your web browser on your mobile device. The casino is adapted to work with touch screens. If you want to make an instant deposit, you can use VISA, MasterCard, Neteller, Skrill, PaySafeCard, or Boku. The minimum deposit is £10 and the maximum is £10,000. Casumo doesn’t charge a deposit fee for the methods listed above. Withdrawals can be made through methods such as VISA, MasterCard, Neteller, Skrill, and PaySafeCard. Neteller, Skrill and PaySafeCard are the fastest alternatives. The minimum withdrawal is £10 and the maximum is £10,000. Casumo doesn’t charge a withdrawal fee for the methods listed above. Regrettably, there is no phone support, but email support and live chat support is available around the clock, seven days a week. The email address is hey@casumo.com.